– Is a supporting form valid for one EU-trip or multiple EU-trips within 6 months? How to be ready to use Temporary Admission? We often hear from aircraft operators initiating a Temporary Admission (TA) procedure, especially at the British Isles, that (1) the validity of a supporting form signed/stamped by an EU customs agency is always 6 months even if the aircraft leaves the EU before the end of the 6 months which is the maximum period of stay AND that (2) the same executed supporting form is valid documentation for the aircraft to continuously be accepted as under the TA when arriving multiple times inside the EU within the same 6 months. In sum, the above opinion is that the supporting form should work as a kind of ‘6 months pass’ to fly within the EU while this is not our view. We have never seen the above two statements as correct use of the supporting form. The general guidelines have always been that an aircraft is always discharged when leaving the EU again and any new EU entry must eventually be documented using a new supporting form, meaning that an already executed supporting form cannot be reused to document future EU entries. The mentioned 6 months is only meant to describe the maximum period of one stay within the EU and have never been meant to state the validity of an executed supporting form. These conflicting approaches have often led to many confused aircraft operators. We have therefore contacted various authorities including the EU Commission, Isle of Man Customs and HMRC (UK Customs) and asked them the below questions in order to get their views of above statements. Is an aircraft always considered as discharged when leaving the EU before the end of the 6 months period? Is an already executed supporting form valid to document multiple future EU-entries within 6 months? It is our impression that the use of the supporting form is often marketed as a kind of ‘6 months pass’, but this is definitely not supported by the customs authorities according to the replies received. In conclusion, the supporting form is only valid for the duration of the first entry and not always for the whole 6 months when the supporting form is used with the sole purpose of documenting the start of an EU entry/activation of an entry regulated by the TA procedure. This means that the so-called ‘6 months pass’ does not exist in practice. 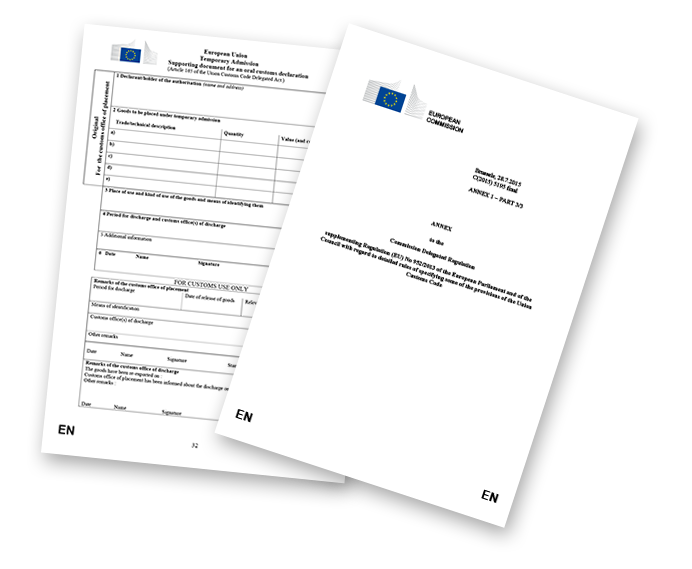 The supporting form can be used to document an EU-entry and EU-exit, but the use is not mandatory. The use of the supporting form can often be helpful during a customs ramp check but does not give the operator a carte blanche to fly freely within the EU without meeting any preconditions on a continuously basis. The latter is often a common misunderstanding. OPMAS can help non-EU operators to check whether or not an aircraft operation is complying to the TA regulation. The important matters are simply to secure compliance and thereafter set-up a system to document that the preconditions for the TA regulation are fulfilled continuously and that the pilots have the correct paperwork ready for a customs ramp check. KNOW MORE: Short story: Demand for documentation? KNOW MORE: Short story: What is the function of the supporting form? KNOW MORE: Short story: What is the validity of the supporting form? KNOW MORE: The 10 typical TA errors: what are the 10 typical errors and misunderstandings? KNOW MORE: SURVEY 7: Temporary Admission in the EU – how is the 6 months period of stay practically interpreted?